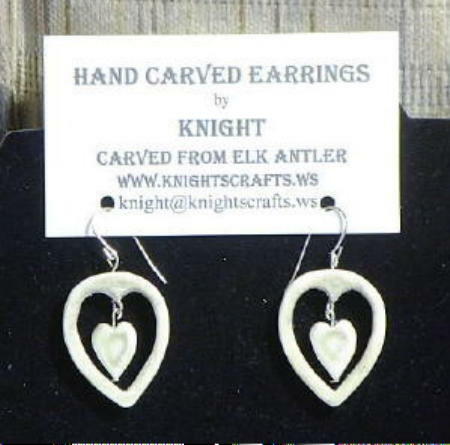 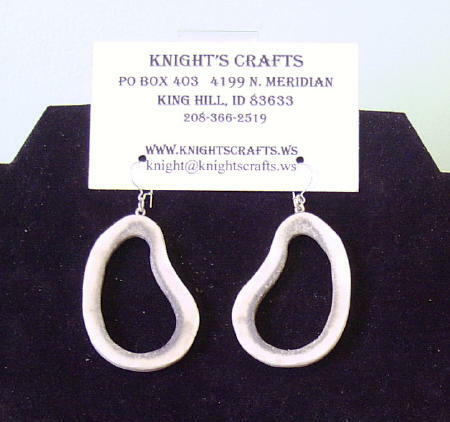 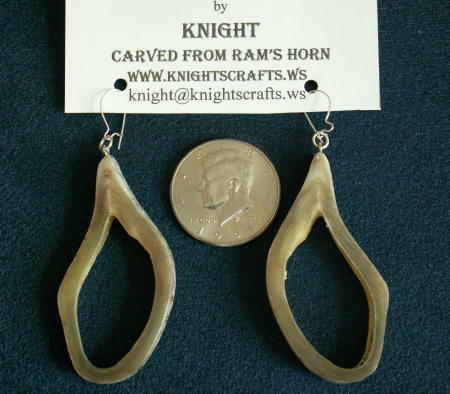 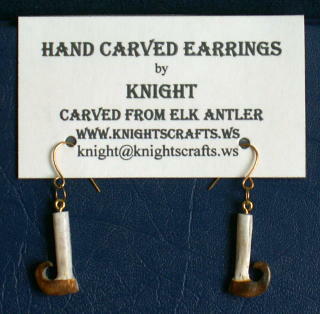 "Custom Carvings from Deer, Elk and Moose Antler "
Here are some of the earrings that I have created. 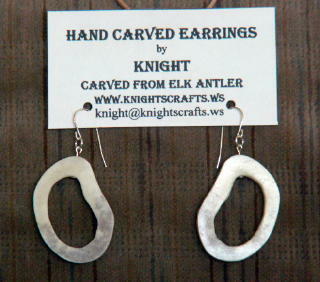 I normally use silver hooks, but I can do these with posts, clamps, etc. 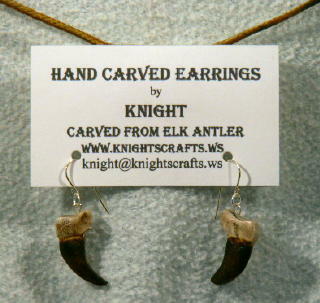 Just let me know what your preferences are, and I'll fill your request. 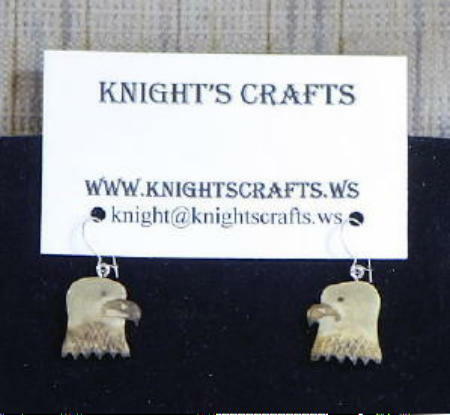 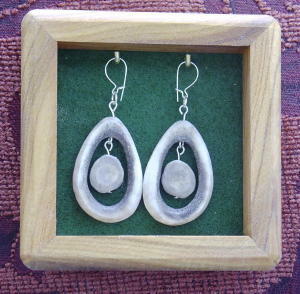 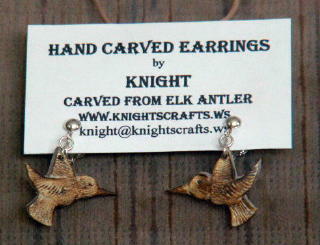 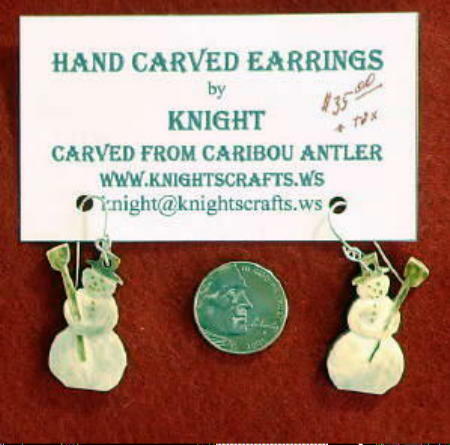 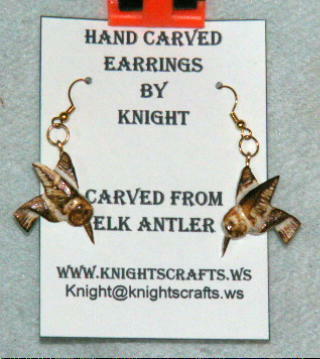 If the earrings are marked Sold, just click on the link to "Carve Me Another". 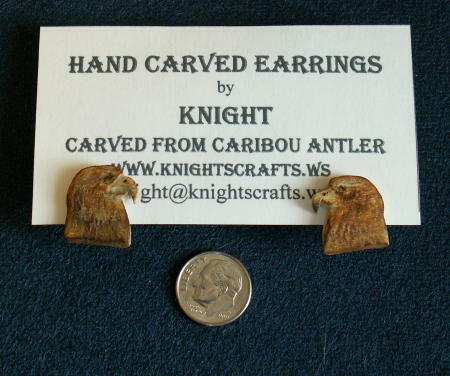 I Can Always Carve A Similar One.